Family Planners, Nursery Art, Birthday chalkboard posters, Back to school signs, Pregnancy announcements, Pregnancy chalkboard signs, Wedding signs, Birth announcements, Birthday Party Invitations, Invitations, Party Printables, Birth stats, Wedding seating charts, Adoptions prints, Anniversary prints, Children's Art work Collage, Instagram collage, North Pole breakfast printables, Elf Printables, printable wedding signs, First day of school signs, Personalized Printable Calendars, Photographers Templates, cake smash templates, Lats day of school signs & so much more! The shop is technically open 24/7 but the working hours to complete orders are Monday-Friday from 9am to 4pm EST. We do not answer emails on the weekend. Thank you so much for your understanding, as we know each of us value our family time and we have 3 small children. WANT TO KNOW MORE ABOUT THE FACE BEHIND THE DESIGNS?! ---> CLICK HERE to learn more about myself and my family! 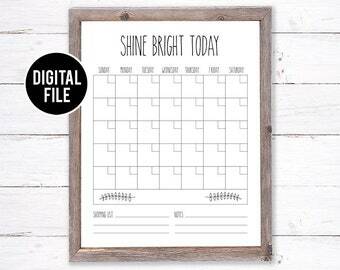 LOOKING FOR OTHER TYPES OF DESIGN PRINTABLES? WE HAVE 4 DIFFERENT SHOPS!! 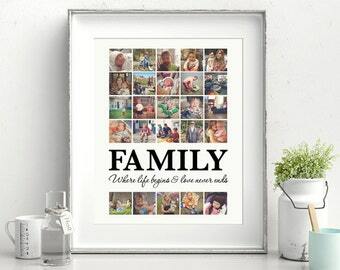 If you are looking for Photographers templates please visit our template shop at https://www.etsy.com/ca/shop/SugarPickleTemplates. Happy Shopping & Thank you for shopping from a work from home mom of three!! Absolutely beautiful! Thank you for dealing with my email issues and providing an amazing product! The young mum I gifted this to was wrapped!! My name is Debi and thank for taking the time to shop with SugarPickle Designs! As a photographer I had purchased from Etsy a lot. Templates, newborn props, backdrops etc. I had noticed that there was one template missing in all the template shops that I had made my own of but no one else was selling. So my first product and my first listing was the cake smash template for photographers - SugarPickle Designs is the home of the ORIGINAL Cake Smash template - a template which has now been copied by other template shops out there. After a while I wanted to design other things beside templates and having a graphic design back ground I just let my creativity fly. SugarPickle Design started to have more custom and personalization listings then templates and the photographers who had come to know my shop as a template shop were getting lost in the personalized designs, custom listing and so I opened SugarPickle Templates https://www.etsy.com/ca/shop/SugarPickleTemplates that was strictly for photographer templates. I want to thank each and every person who has ever bought something from me from any of my shops. Your purchases make it possible for me to sill be home with my children. It makes it possible for me to be able to volunteer once a week at my sons school, for my kids to be enrolled in swimming lessons, for them to have clothes on their backs and food in their bellies home cooked by me. My designs take up a lot of time to make and customize, so I do work full time at home roughly 10 hours a day Monday to Friday. BUT at least I am at home. I have an awesome mother who watches my 2 younger kids during the day in my house while I sit at the computer and complete your orders. Shopping from small businesses on Etsy makes a big difference to the shop owner behind the scenes and for that we are all grateful you choose to shop here! I am a Graphic Designer/Photographer with a wonderful mother, great hubby, 2 amazing little boys and a baby girl! My shop is technically open 24/7 but my working hours to complete orders are Monday-Friday from 9am to 4pm EST. I do not answer emails on the weekends or holidays. Thank you SO MUCH for your understanding, as I know each of us value our family time and we have just welcomed our third baby into our family all under 9 years old. All emails are answered in the order in which they are received and all convo's are answered at the beginning and the end of each working day during my working business hours. Please allow up to 24 business hours for the delivery of your final files to your email after your proof has been approved. Please note it is the SOLE responsibility of the customer to download their file from the link we send in the 7 day time frame that their download link is active. It is the SOLE responsibility of the customer to take the time to read the listing description and shop policies before purchasing so they fully understand what they will receive and how they will receive it. SugarPickle Designs is not responsible for any assumptions customers make because they do not take the time to read the listing description or shop policies. Please backup/save your file(s), there is a re send fee to re send your files to you. LINKS ARE ONLY ACTIVE FOR ONE WEEK. It is your responsibility to download and save all files. Once files have been sent they are deleted with in 4 weeks of the date it was sent. If you lose your file you will have to re purchase the item as it will have to made again. So please download and save your files as we are not responsible for files once they have been sent to customers email for download. Once Paypal has cleared your payment Etsy will send you a link to download your template(s) provided its an instant download. Not all templates are instant downloads as there is a size limit to the files we can upload at this time. Instant downloads with be available once payment is cleared. You will receive an automatic email with a link to download. If you need to download instant downloads again you can list your purchase history on Etsy and download them from there at anytime. If your template is not an instant download it will be sent to you via dropbox/we transfer in 48 hours minus weekends and holidays. For custom/personalized orders it will take 3 to 5 business days to receive your proof/rough draft and then another day to have the hi res sent to you. PLEASE NOTE: We do not work on the weekends as we have small children. 24 hours rush orders will be completed on the next business day. 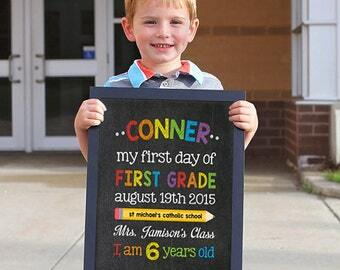 The templates are created to be user friendly for photographers and include instructions. BUT you must have basic knowledge of photoshop and terminology to use them. Our templates are not compatible with most Photoshop Elements. Our products and templates are licensed for one use/purpose - for professional photographers to use to enhance their own photo images and to sell at retail to their own studio’s clients. You may NOT resell, redistribute or share these templates in whole or in part for any reason; claim these designs as your own; or sell any design digital or printed on any online store (including but not limited to Etsy, Ebay, or general online card stores) outside the scope of the licensing above. Our files are provided in layered PSD format. When you buy one of our templates/marketing materials or any other product in the shop, you are NOT buying the copyright to the product, but are buying the right to use the product in a certain way. This is commonly referred to as “licensing” a product. SugarPickle Designs still owns the copyright to the design and are licensing the use of the copyright product to you for a fee. Because you are not purchasing the copyright to the items you download, you may not use them in any way that is not expressly permitted. For example, you may not copy, loan, give away, or sell the product to someone else, because the copyright remains the property of SugarPickle Designs. Once you order is personalized and it will be sent to you via Etsy message. 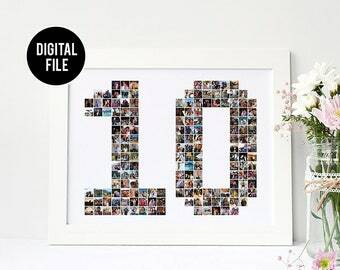 You will be sent a message through the Etsy message with a dropbox link to download (we under NO circumstances will email you the file as most files are too big, and some emails compress the file which compromises the quality of our products) Once you have received your download link it will expire in ONE WEEK. Please backup/save your file(s). LINKS ARE ONLY ACTIVE FOR ONE WEEK. It is your responsibility to download and save the hi res files you are sent. Once your personalized digital file/s are sent to your email they are deleted from our database 4 weeks from the date it is sent to you. If you lose your file(s) you will have to re purchase as it will have to made to order again. We do not keep orders on file as we do not have the storage for that with the volume of orders we do. It is your responsibility to contact us should you not download you file in the ONE WEEK your link is active to request we send you a new link, you have 4 weeks to do so after that the files are deleted. If you are not receiving our email you must check your junk and spam folder, if its not there please a just your spam filter on your personal email account or message us with an alternative email to try. We will work with you during this time to make sure the emails come through as a lot of personal email account such as hotmail, gmail, yahoo the spam filter is set to high which causes our emails to be blocked from receiving. Please make sure you check the colors, bleeds, trim lines, texts and fonts of the template before printing. SugarPickle Designs is NOT responsible for printing errors. All Printables in this shop are for personal use only.